Good antique condition with some minor chips to a few leaves. A pair of highly carved pricket candlesticks now wired as lamps, having a later 20th century finish. France, circa 1780. Recently rewired with double sockets. Shades not included. 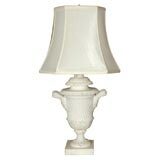 Beautifully carved and finely detailed alabaster urn shaped lamp. Newly re-wired. A big simple table lamp having a natural carved wood vase shaped base and custom shade lined in gold. 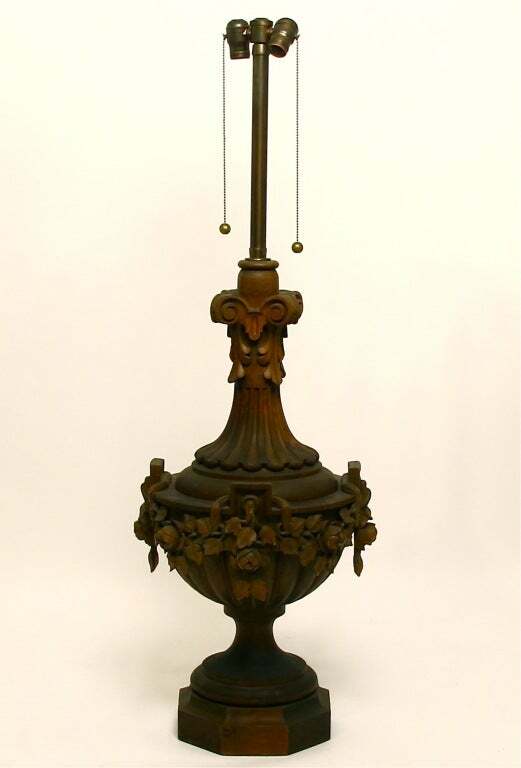 Large-scale carved wood, silver finish lamp with ram's head detail lamp. Unique lamp with beautifully carved rams heads. Newly wired with inline switch. 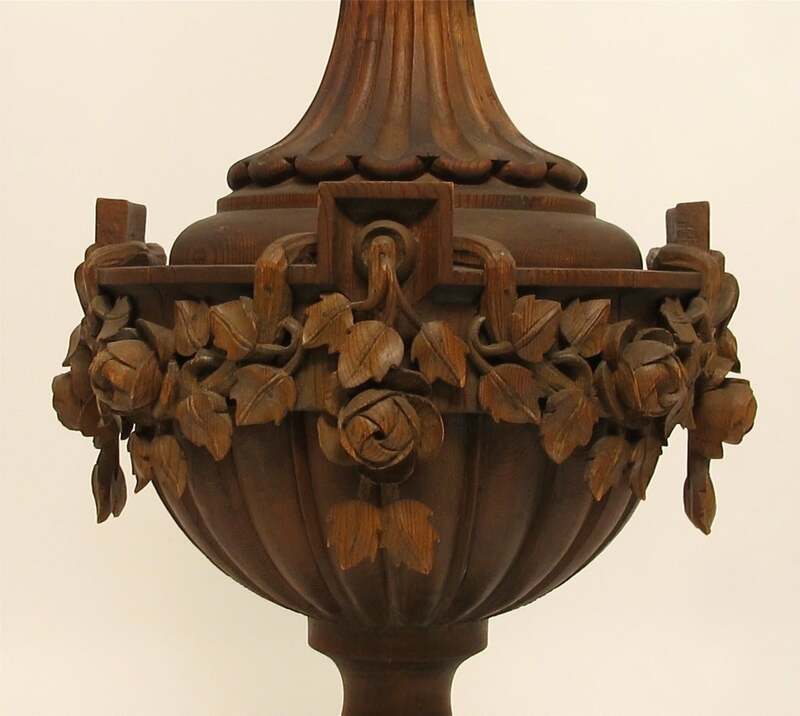 German Black Forrest carved hardwood lamp with birds perched in a floral setting, circa 1880-1890. Matching shade is included. 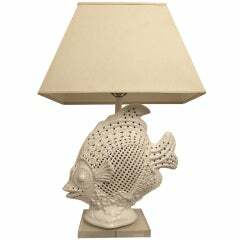 Hand-carved table lamp with a face on one side and a pattern on the opposite. Wired to US standards. Woven shade included. Italian carved wood lamps with bulb turned bases in an antique finish. Shades not included, circa early 20th century. 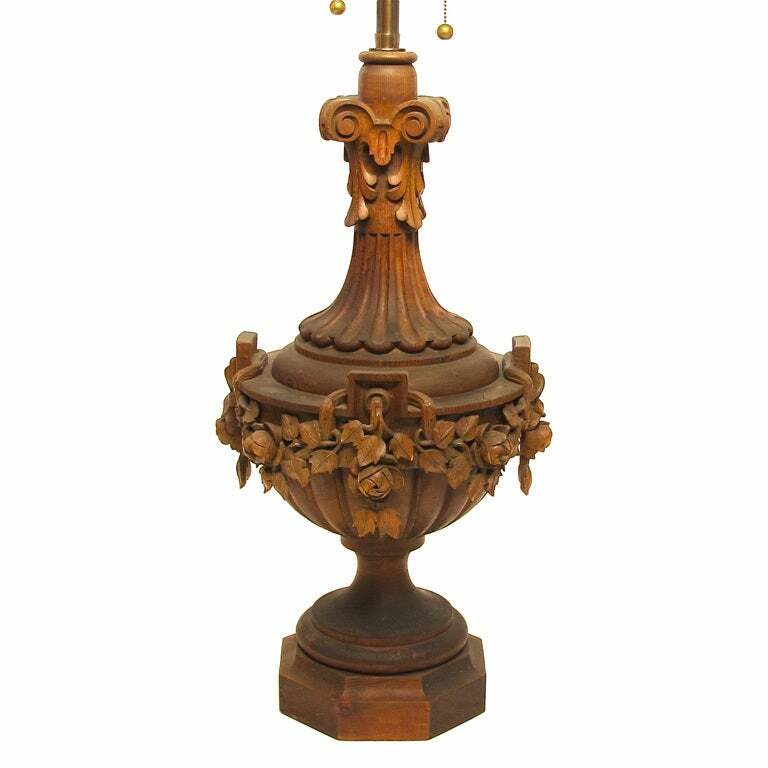 Hand carved table lamp with in fruit wood with great attention to detail and with good proportions. 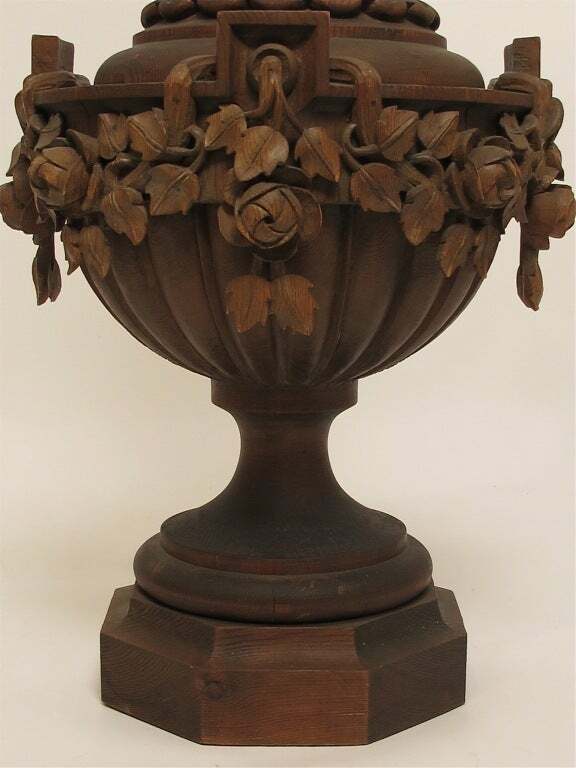 Carved floral design with ribbons and in great condition with no chips or cracks. 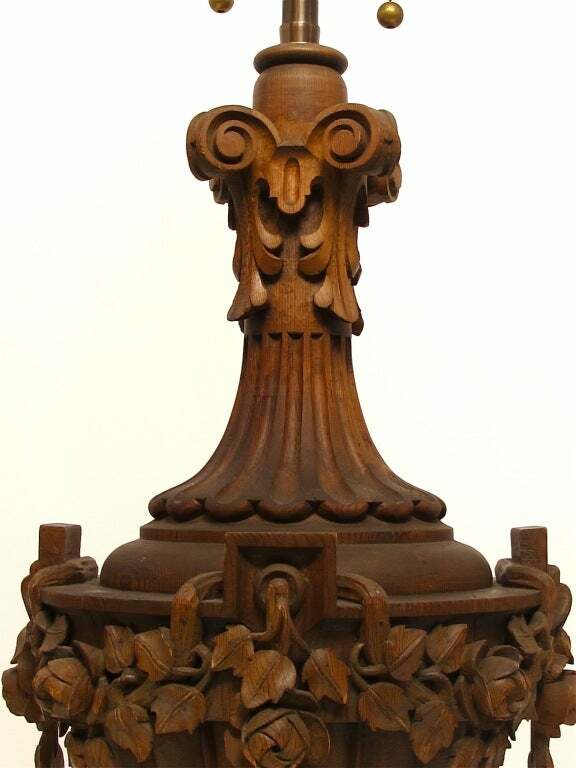 Artisan table lamp with hand carved walnut design, American, 1950s. Measures: Shade W: 18 inches Shade D: 13 inches.